When was the last time you had a hypo? No one wants to have them, but managing glucose levels and insulin treatment can be infuriatingly unpredictable. Try as you might to avoid hypos, diabetes from day to day is often a balancing act between aiming to keep glucose levels within target range, and going too low. Of course, the main treatment goal of diabetes is controlling your blood glucose levels as measured by the long-term measure, HbA1c. But in recent years research has shown that focusing only on a low HbA1c may have unintended consequences. ‘This was unexpected and needs an explanation,’ says Dr Ramzi Ajjan, Consultant Physician and Associate Professor of Diabetes and Endocrinology at Leeds Teaching Hospitals NHS. 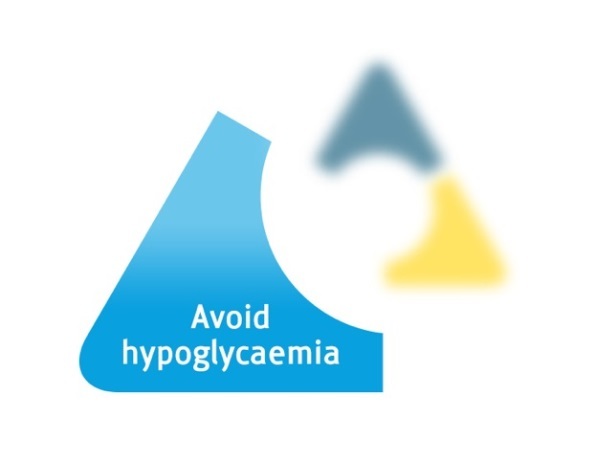 The Triangle of Diabetes Care is designed to help you see the bigger picture of how you manage your diabetes – a holistic approach that looks ‘under the bonnet’ of the HbA1c, to find out how to prevent hypos and swings in blood glucose levels as far as possible. This makes day-to-day management easier, and can also help you feel you’re taking positive steps towards your long-term health and wellbeing. In previous articles we’ve looked at The Triangle of Diabetes Care and the first goal, improving your HbA1c, in more detail. In a future article we’ll also cover the third goal, limiting glucose variability. Are you wondering how The Triangle of Diabetes Care translates into practical tips that you can use to improve your diabetes management, and how your FreeStyle blood glucose meter can help? Head over to the FreeStyle Progress section of the website and sign up for our new education programme to find out more.